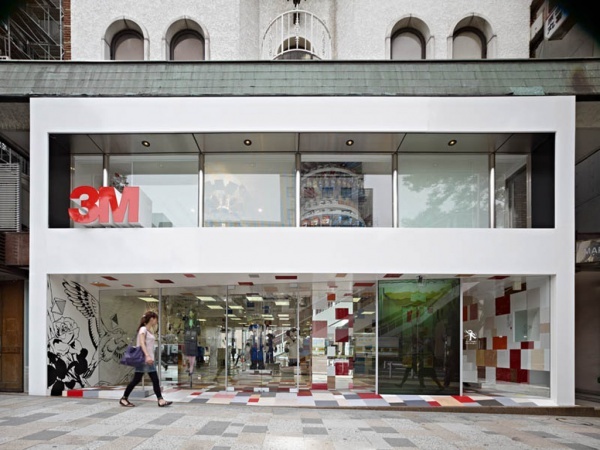 The maker of the Post-it Notes and DI-NOC Film sheets, 3M, opened its first concept store in Omotesando, Tokyo for a limited time. 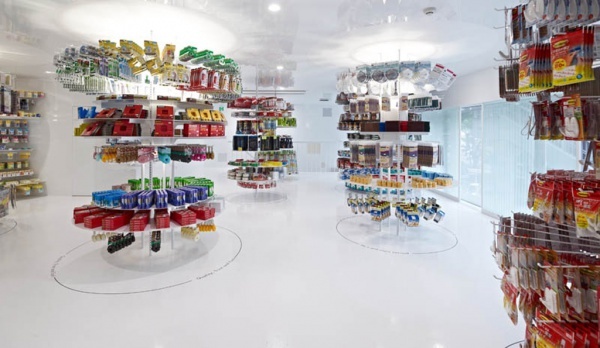 The interior of the 3M store feels like a walk-in catalog almost entirely made using 3M materials and goods to further promote awareness of the brand’s product line-up known for its variety and technical innovations. 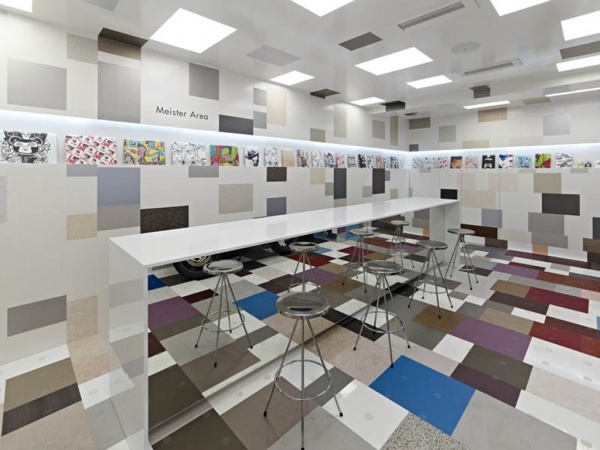 The 1st floor features an Exhibition Area showcasing practical applications of 3M products and a custom order corner called the Meister Area. 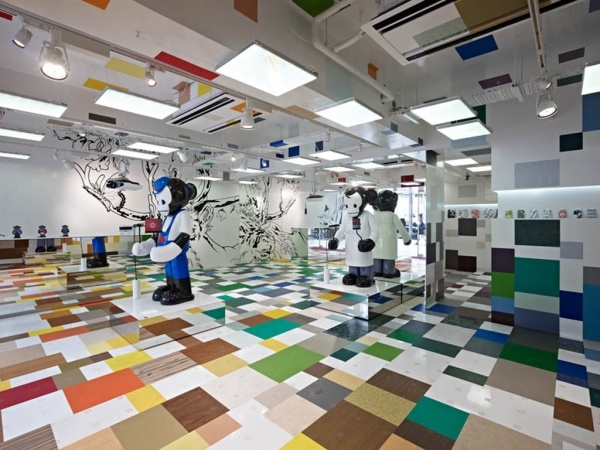 Customers walk into the store on a tile floor made with cleverly posed DI-NOC film sheets. 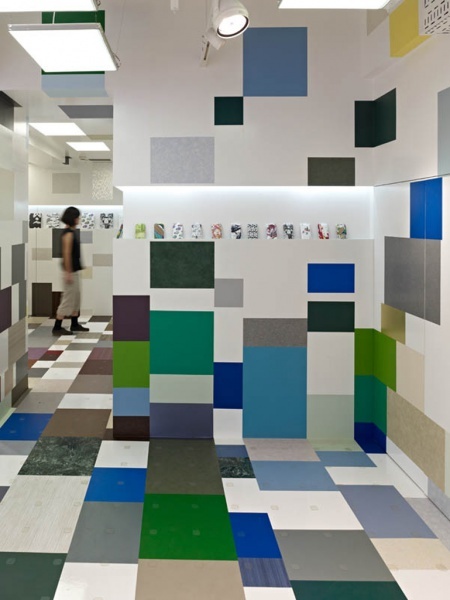 The granite-like tiles at the entrance, inspired by Omotesando’s distinctive pavement pattern, gradually turn into a multicolored surface as visitors move to the back of the store. The checkered pattern then scatters onto the columns and walls, making its way up to the ceiling where it blends with the suspended lights, mitigating the bareness of beams and pillars in the overhead space. 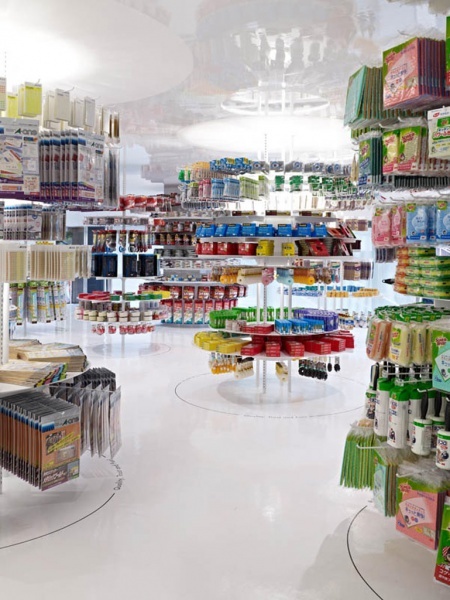 The 2nd floor offers a massive selection of 3M products for sale on circular display shelves. 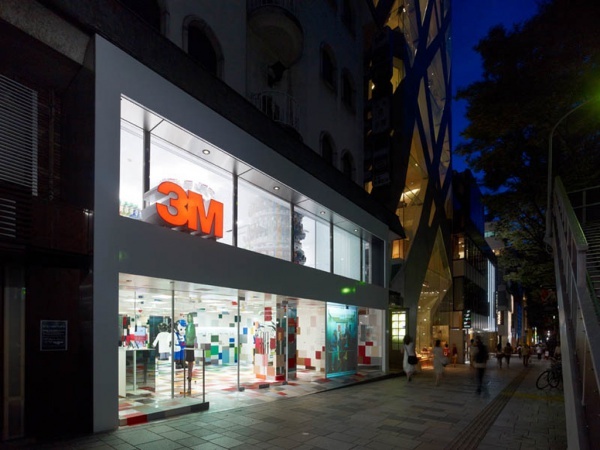 All items in stock are put forward in this fashion at once to convey the overwhelming variety and quantity of products made by 3M. Well garnished layers of colorful packages dress up the core of these tree-like structures, creating an array of products that stand out in the brilliant white light. 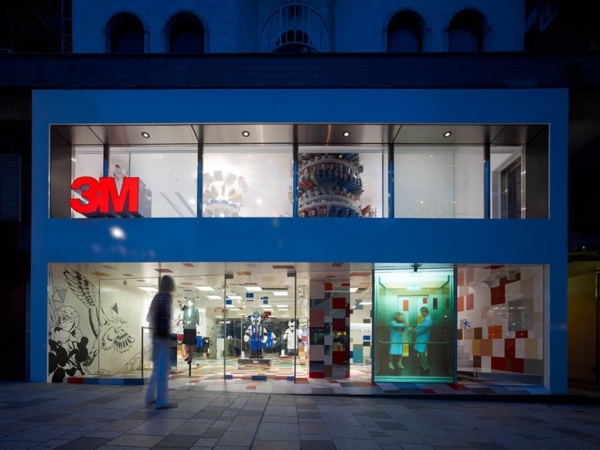 Contrasting against the white background, 3M's colorful products look floating in the white space.